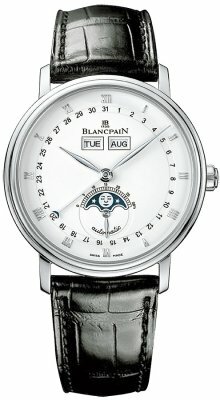 Buy a Blancpain watch online from PrestigeTime.com and enjoy excellent customer service and free shipping! Large selection in stock. Blancpain dates back to 1735 making them the oldest watchmaker in the world and use high caliber techniques in their grande complications such as the Tourbillon, Carrousel and Minute-Repeater to create horological masterpieces. Own a piece of watchmaking history. Blancpain watches was founded in 1735 by Jehan-Jacques Blancpain. The company is situated in the Vallee de Joux in Switzerland and is renowned for their advancements in watch making techniques and for being devoted to manufacturing watches of the highest caliber comprising some of the most complicated movements ever imagined. Famous for Le Brassus, Leman, Villeret, Specialities and Sport and Women collections together with Novelties and Fifty Fathoms. They can be described as an adventurous and innovative brand that seeks to be a little bit different. The Blancpain Fifty Fathoms collection is the watch that was inspired by the very first modern diver's watch in 1953. Blancpain was always passionate and protective about the sparkling underwater universe that is bustling with undiscovered life in the depths of our seas and oceans. In fact, they have played an integral role in many underwater explorations with deep sea photographers and professional divers. 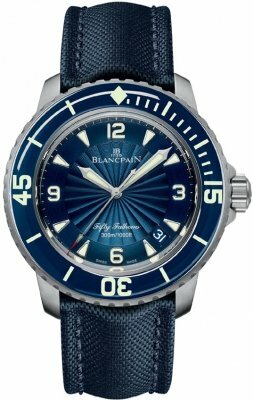 Blancpain Fifty Fathoms watches are comprised of all the features needed by professional divers and are built to endure the risks involved in professional diving without jeopardizing the structural integrity of the watch. Now, with the new Blancpain Fifty Fathoms Bathyscaphe watches, The Blancpain 50 Fathoms collection continues to push the boundaries of watchmaking by using innovative materials that withstand the most demanding of deep sea and sub oceanic explorations with mechanical and technical achievements that help to expand the distances that can be travelled on our ocean floors and sea beds. The Le Brassus collection is named after the birthplace of their very first watch. It represents the seminal point in the luxury watchmaker's existence from which all of their great timepieces came to be. Can you think of a name more deserving for a watch collection that contains six unique masterpieces? The Blancpain 1735 entitled with the birth year of Jehan Jacques Blancpain particularly holds great importance reflects the modern day revival of mechanical watchmaking. The Le Brassus collection is what a watch aficionado would call the essence of everything they stand and strive for in their watches. Combining grand complications and precious metals to form a luxury watch that is aesthetically pleasing and that will be cherished for generations to come. Blancpain is now refocusing this collection around the Caroussel, the remarkable movement that has been brought up to date and has been given new life. 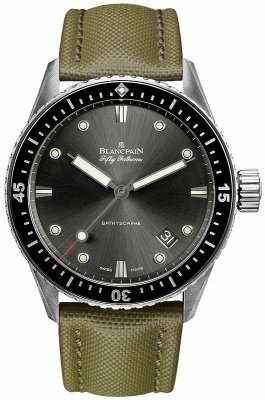 The Blancpain Leman collection is named after the most enormous western-European lake. 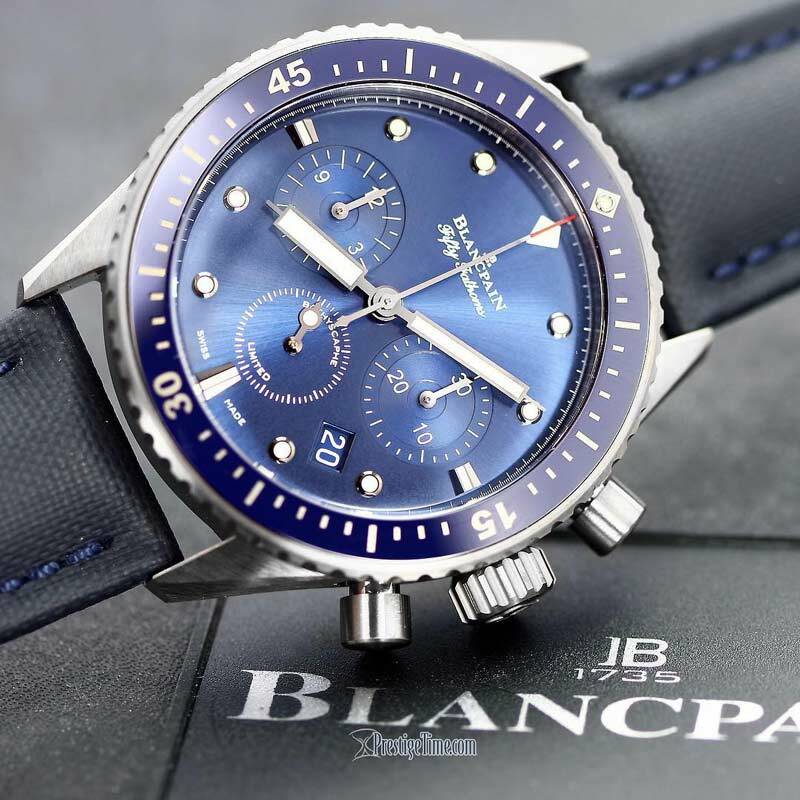 The Blancpain Leman is a classic yet strong and sophisticatedly bold looking collection with many practical features that are highly useful for people on the go, the type of features that promote discovering new places and travelling. Ideal for active people that need the types of complications like a dual time zone, alarm functions and the 53 week 'semainier' display, the Blancpain Leman is as useful as it is beautiful. The Leman collection from Blancpain has not only used forward thinking materials such as titanium but also employed many noteworthy complications like a perpetual calendar, a flyback chronograph and a tourbillon. Blancpain has been spearheading the innovation of ladies luxury watches ever since 1930. Blancpain understood the needs for women to have dependable watches that are scaled to fit their smaller wrists and challenged themselves with the miniaturization of their watch movements and equipping the Blancpain ladies's watches with the type of haute horology complications which were normally only available in men's wristwatches all the while keeping the aesthetics looking refined, elegant and graceful. Blancpain women's watches encompass the essence of femininity with their balancing the mechanical complexity of a high caliber watch while simultaneously exhibiting amazing grace and finesse. Blancpain L-Evolution is a provocateur in avant-garde luxury watchmaking and a bridge between the past, present and future of horological precision and performance. With powerful features such as an 8-day power reserve and complications such as tourbillon, "Flyback" chronograph and Reveil GMT alarm function, to name a few. The Blancpain L-Evolution collection is the modern racing watch with a series of innovative and robust luxury racing watches that grab one's attention with their powerful designs and layered dial designs. Pioneers in design and development, this collection features two Blancpain timepieces that show a power-reserve on the oscillating weight itself, a first in the world of watchmaking and something which no doubt created a stir in the industry. The Blancpain Villeret is essentially the most classic of all their collections with its clean lines revealing some of the most virtuous traditions in watchmaking. 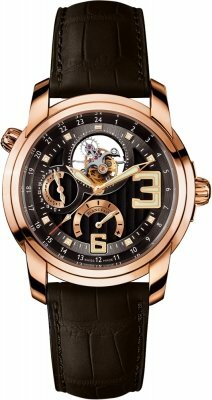 This collection features watches in a variety of materials including white gold, rose gold and stainless steel. Most people are unaware that they has a long standing history with the village of Villeret and produced watches with its namesake as a tribute to the native roots firmly planted in the village of Villeret, the same roots from which all Blancpain timepieces stemmed forth. Every so often, they enhance their Blancpain Villeret watches with a more modern face while maintaining the aesthetical essentials that identify Blancpain Villeret watches. 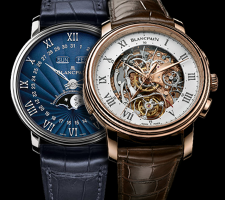 These magnificent timepieces employ some of the more modern findings in watchmaking with new and improved features in watch movements such as the Chinese calendar found in their Blancpain Calendrier Chinois Traditionnel, and Lunar phase calendar found in the Blancpain moon phase watch, the Carrousel Phases de Lune timepiece. A proclamation of their affection for traditional watchmaking values can be found in all the newer models of Blancpain Villeret wristwatches. Blancpain watches also made innovations to the tourbillon,, a high complication in horology that stabilizes the gravitational effects to improve the accuracy of a watch's movement. Blancpain are also the luxury watchmaker who charmed us with a tourbillon that is now visible through the watch's dial. Although the tourbillon was patented in 1801 by Breguet, a more innovative tourbillon was introduced by Blancpain in 1989 which exhibits a flying tourbillon in a carriage or cage that is restrained using little ball bearings resulting in a highly visible tourbillon in action. This noteworthy Swiss watchmaker also developed the most watches that have tourbillons working in conjunction with other complications. A good example of one such watch is the combination of the tourbillon and a chronograph complication found in the Blancpain Le Brassus Manufacture collection as well as a unique permutation of the perpetual calendar, an 8-day power reserve and the tourbillon. The flying tourbillon which was designed in 1920 by Alfred Helwig at the German School of Watchmaking, is sustained from only one side and was introduced onto Blancpain's watches in 1989.